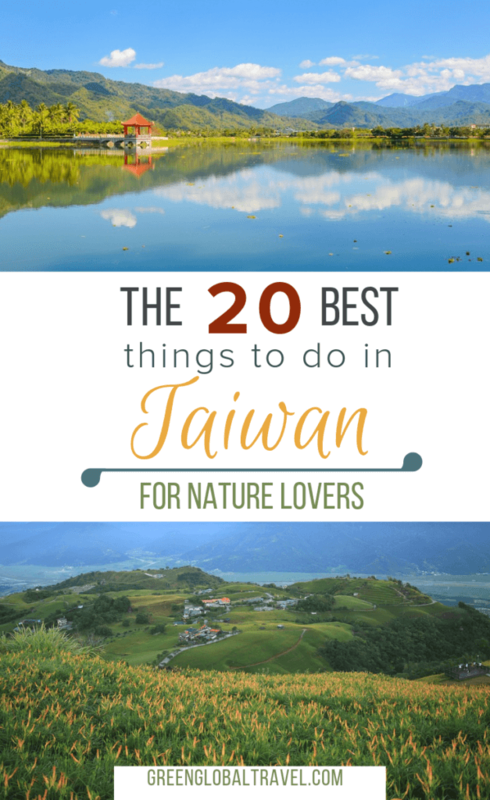 If you’re a lover of the great outdoors, you might be surprised to realize that you really need to add Taiwan to your world travel bucket list. Gone are the days when the 14,000-square-mile northeast Asian island nation (which is officially called the Republic of China) was known primarily for its manufacturing industry and polluted skies. Taiwan has the 22nd largest economy in the world, a Democratic government, rich indigenous cultures, and ranks among the world’s most highly educated countries. 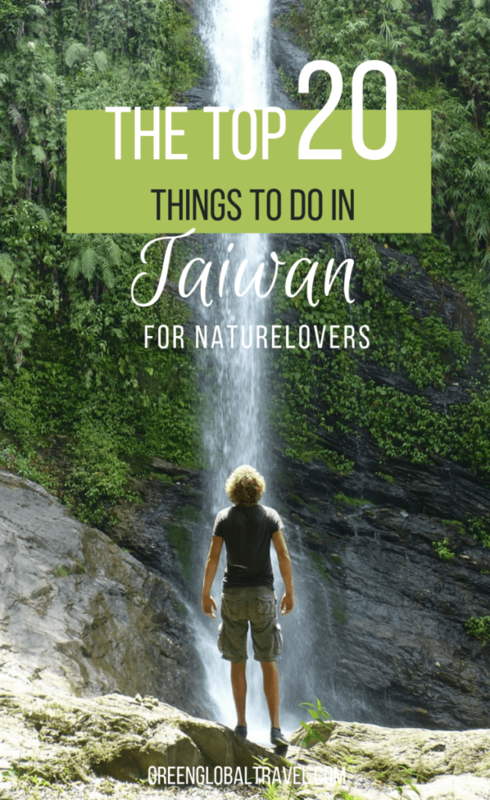 Today, there are countless things to do in Taiwan for people who love nature, wildlife, and outdoor adventure, and countless Taiwan tourist attractions in which to do them. In fact, 70% of the island (which is located 110 miles from mainland China) is covered with dense forests and mountains. Though Taiwan is roughly the same size as the state of Indiana, it boasts a whopping 286 mountains over 3000 meters (9800 feet). 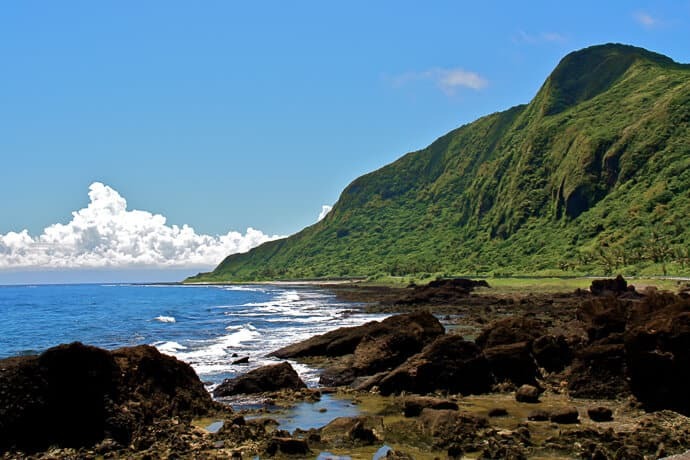 The island’s rugged landscape is also punctuated with steaming hot springs, not to mention the sheer vertical cliffs that fall to the sea on the wild east coast. Most travelers tend to hit the three most well-known natural places to visit in Taiwan: Sun Moon Lake, Alishan, and Taroko Gorge. The reputation of these stunning sights is well deserved. But there are many other must-see Taiwan tourist spots that are visited much less frequently. Taipei’s bike sharing system, YouBike, has been enormously successful since it was first introduced in 2008. Each YouBike is rented out approximately 12 times per day, which is more than similar bike-sharing systems set up in major cities such as New York City and London. The orange and yellow bikes– which are produced by the well-known Taiwanese bike manufacturer, Giant– are a ubiquitous site throughout the city. You can swipe with your MRT card, and the rate is only NT 10 (USD 32¢) per 30 minutes for up to four hours. 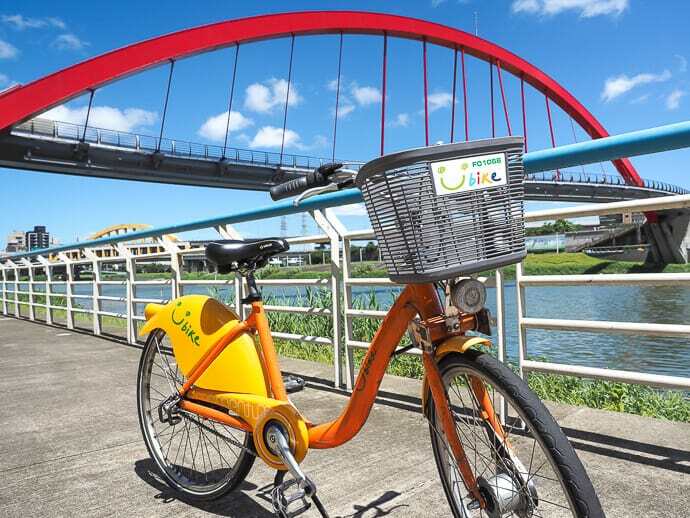 The city’s best bike rides can be had in the parks alongside Taipei’s numerous rivers, where you can easily forget that you are in the middle of a large urban metropolis. Like many islands in the South Pacific, Taiwan is riddled with volcanoes. Geologically speaking, the country’s landscape is a collision zone of tectonic plates. 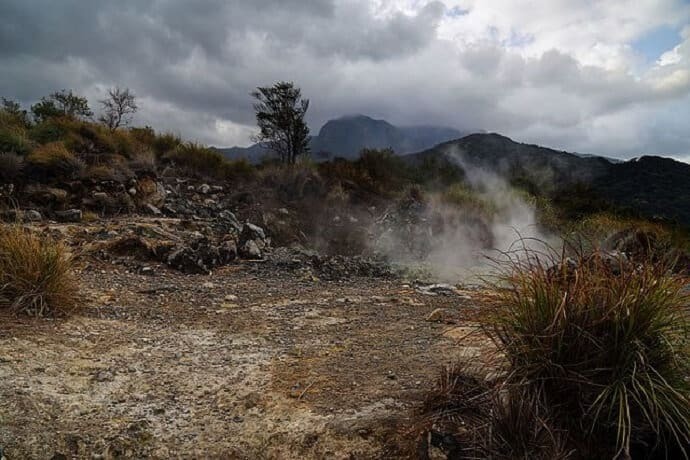 As a result, the island has an abundance of hot springs, and has even been called “the Hot Spring Kingdom.” Some of the country’s most popular geothermal spring areas were originally developed by the Japanese when they colonized Taiwan (1895-1945). The sad truth today is that many of Taiwan’s thermal areas have been hastily overdeveloped. Hot spring resorts recklessly battle for access, and have destroyed countless natural landscapes. Luckily, it’s still possible to visit many of the more remote and uncrowded Taiwan hot springs. There are hot springs in just about every county. But I included this in the northern Taiwan section because one of my favorites is Bayan Hot Springs, which is located an hour’s drive from Taipei. Longdong (which literally translates as “Dragon Cave”) is a large bay located on the northeast coast of Taiwan. 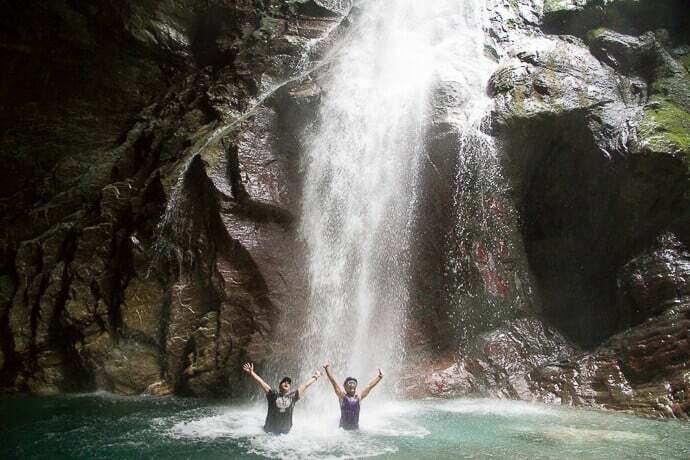 In recent years, it has become the top northern Taiwan tourist spot for activities ranging from snorkeling and scuba diving to rock climbing and cliff diving. 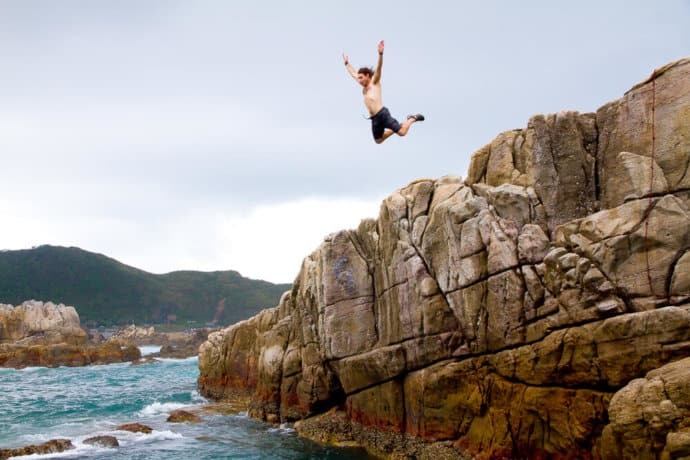 There are several spots along the bay’s rocky coastline (and the small islands located just offshore) that are perfect for a thrilling leap into the sea. Just be warned that the waters can get pretty choppy here, and the rocks can be quite jagged. So proceed with caution. The sandstone cliffs facing the shore, which are mostly around 30-something meters (100+ feet), are also ideal for rock climbers in training. This broad combination of activities available at Longdong make it the ecotourism adventure capital of Northern Taiwan! Whether you prefer laid-back day hikes or serious backpacking, Taiwan is a paradise for trekkers. There are countless places to go in Taiwan for hiking. But I included the activity in this section to emphasize just how many amazing treks there are within easy access of the capital city. 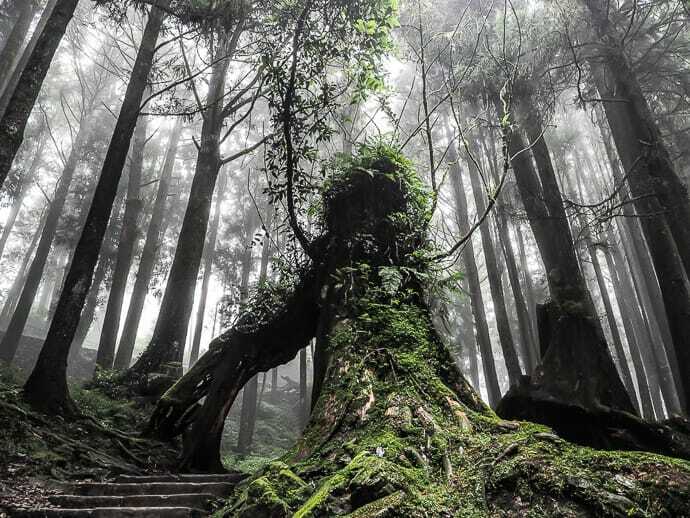 Right in Taipei City, you’ll find Yangming Mountain (a dormant volcano), the Four Beasts, and Maokong, all of which offer numerous hiking trails of different lengths and difficulty levels. 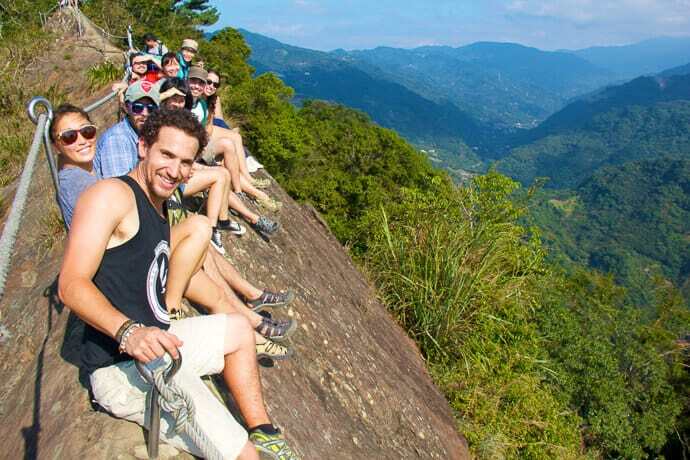 Two of the most exhilarating hikes around Taipei are the Pingxi Crags and Wuliaojian trail in Sanxia. These hikes feature ascents of sheer vertical cliffs on death-defying ropes and ladders. They are perfectly safe for anyone who is moderately in shape… just don’t look down! The Caoling Historical Trail is another popular trek in northern Taiwan that features coastal bluffs, wild buffalos, and slopes that are covered in silvergrass in the autumn. The most eco-friendly way to explore Taroko is by cycling up the gorge. If your legs aren’t up to the challenge, local hotels will drive you to the top of the gorge so that you can cycle back downhill. There are also numerous hikes in the gorgeous valley, ranging from leisurely strolls to exhilarating jaunts on narrow paths that hug the cliff walls. 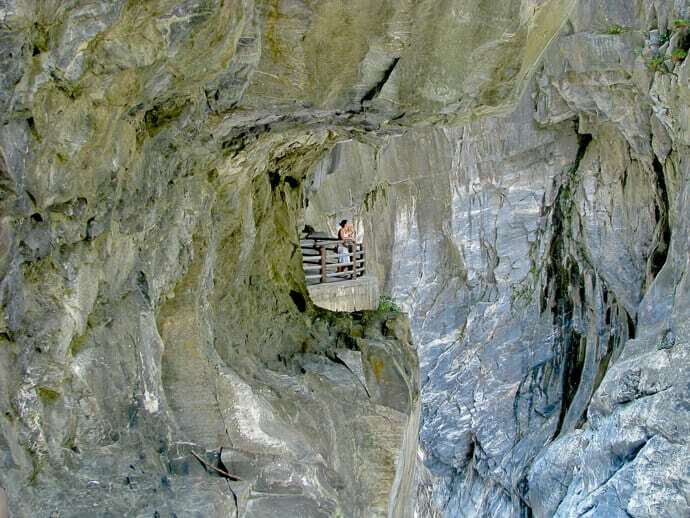 There is also a large shrine located in the gorge that commemorates the many people who died during the construction of the road up from the gorge. 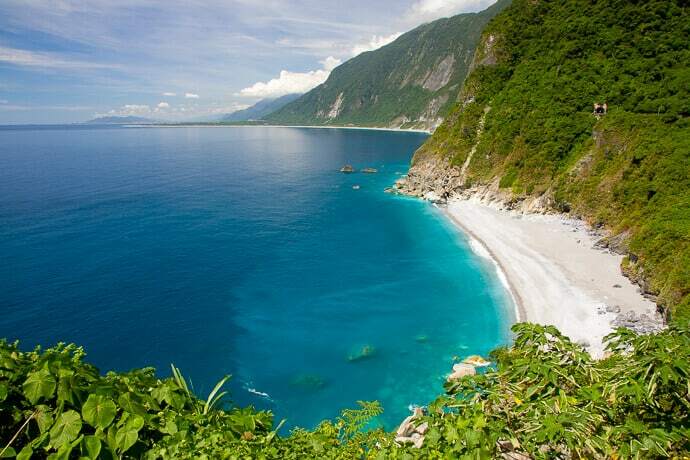 Just north of the entrance to Taroko Gorge along the coast, the Qingshui Cliff features some of the most gorgeous scenic views you’ll find on the wild east coast of Taiwan. Considered to be one of Taiwan’s 8 natural wonders, the 21-kilometer cliff is the best place to see the three distinct colors of blue that make up the Pacific Ocean. The sheer vertical cliff drops approximately 800 meters to the sea, with Mount Qingshui (the area’s highest point) towering at 2,400 meters above sea level. Qingshui Cliff can also be seen from a notoriously dangerous road that connects Yilan county to Hualien county. 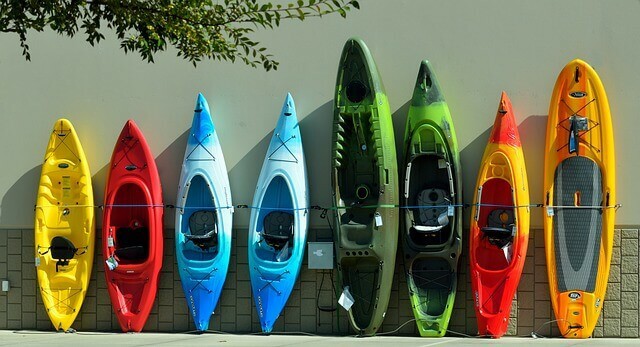 To see the Qingshui Cliff from a totally different angle, why not hire a sea kayak in Hualien and admire them from the sea? Just make sure to bring a lot of sunscreen, as the sun can be quite fierce in Taiwan, particularly in the summertime. White water rafting is another popular activity in Hualien county, a bit further south from Hualien city and Taroko Gorge. The most popular place to do it is the Xiuguluan River, which is the longest river in Taiwan and the only one to cut through the coastal mountain range. What, you didn’t know that Taiwan had surfing? Don’t worry, you aren’t the only one! There are a few beaches on the east coast of Taiwan that offer decent surfing opportunities. The waves there aren’t huge (unless there’s a typhoon coming), which make it a perfect place for beginners to learn the sport. On the northeast coast, Wai Ao is the most popular place, mostly in summertime. On the southeast coast, warm weather makes it possible to surf year-round: The surf town of Dulan is the best place. Generally, the waves in Taiwan are smaller in summertime, so that’s the best season for beginners. In winter, they can be larger, but a little rough for newbies. Looming large at 3952 meters (12,966 feet), Yu Shan– which is also known as Jade Mountain– is taller than any peak in Japan, Korea, or the northeast portion of China. Ascending the summit is not terribly difficult, but it typically requires two full days of climbing. Most hikers spend the night at Paiyun Cabin, then make an early morning ascent for sunrise on the summit. Daily trekker numbers are strictly limited, so the summit trail is never crowded. But it is a very popular hike, so you do need to arrange a permit several months in advance. It’s possible to witness the “sea of clouds” phenomenon from many high-altitude points in Taiwan’s Central Mountain Range. If you’re lucky, with a sunny day and a good vantage point, you can witness what looks like a sea of clouds flowing over mountain peaks or filling the valleys below. The best time to see this happen is usually right at sunrise or sunset. 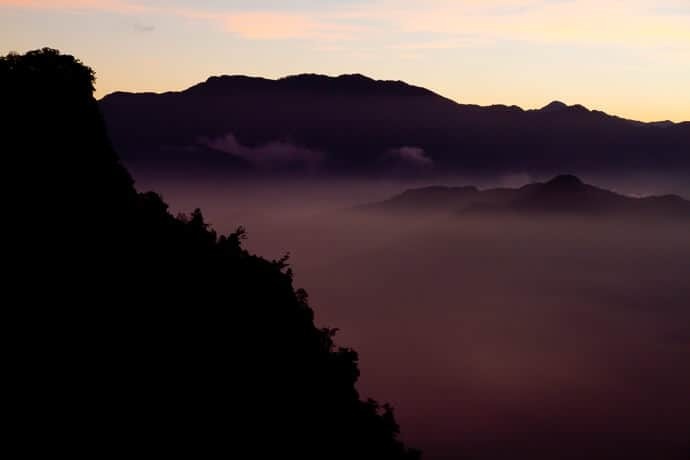 The phenomenon is closely associated with Alishan, or Mount Ali, Taiwan’s most famous mountain resort. Millions of tourists each year pack onto the Alishan Forest Railway, a small-gauge, high mountain railway line built by the Japanese. They all head to a popular sunrise viewing point, hoping to catch a glimpse of the phenomenon. The good news for those who want to avoid the crowds is that it’s possible to observe a sea of clouds from many other high mountain treks in Taiwan. I saw an amazing one when I climbed Yushan! Sun Moon Lake is another incredibly popular Taiwan tourist attraction. But it absolutely merits a mention on this list for its jaw-dropping natural beauty. Shaped somewhat like a sun and a moon, the gorgeous lake is the homeland of the Thao people, one of Taiwan’s smallest indigenous tribes. 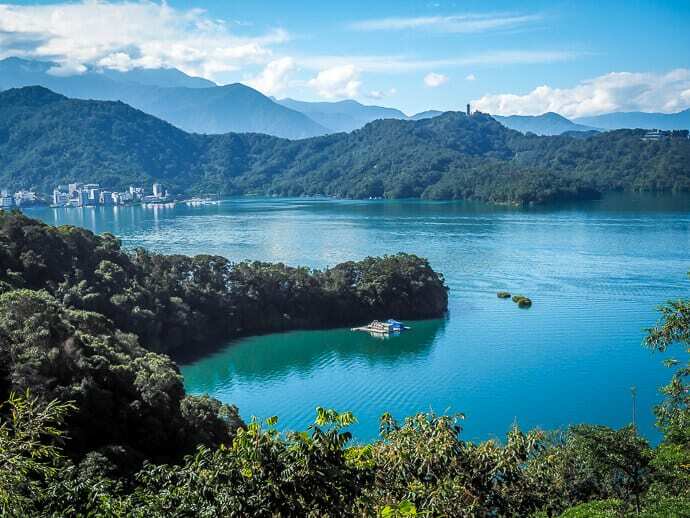 The road around Sun Moon Lake has been called one of the most beautiful cycling routes in the world.To minimize your impact when staying, consider getting around only by bike. If you go for a boat ride on the lake, choose one of the eco-friendly electric boats. And consider camping instead of staying in one of the many resorts on the lake. Sun Moon Lake also hosts one of the largest mass swims in the world every September. Few people would imagine that you could see snow in Taiwan, but it’s definitely possible! Your best odds are in January or February, and you need to get as high as possible (in elevation, that is). Hehuanshan is one of the most popular places to see snow in Taiwan, because there’s a road that goes most of the way up the mountain. Every time there is even a remote possibility of snow, crowds of Taiwanese people drive up to the top in hopes of seeing it. 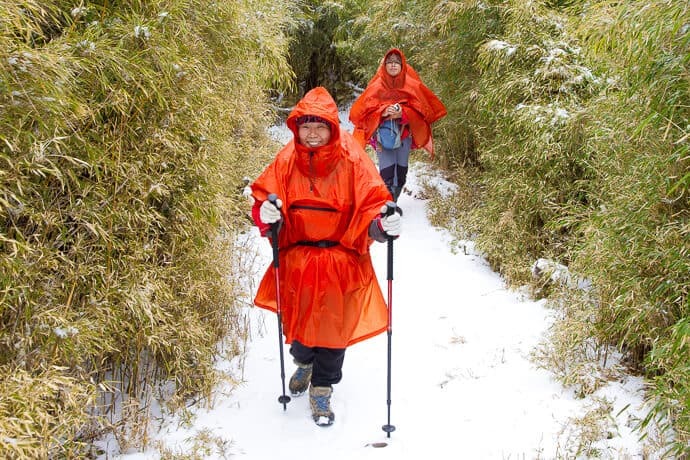 If you really want to see snow in Taiwan, simply climb the aptly-named Snow Mountain in winter. When I did it, we had to slog our way through several feet of snow on the summit, with literally zero feet of visibility. I actually felt like I was back home in Canada! Remote Orchid Island offers the chance to dive to Ba Dai, a wrecked Korean freighter that capsized during a typhoon. The wreck is found at around 20-35 meters below the surface. Orchid Island is also home to the Tao people, which are the most isolated (and therefore least influenced by mainland Taiwanese culture) of Taiwan’s tribes. Green Island, a small island located off the southeast coast of Taiwan, is the most popular place to go snorkeling and scuba diving in Taiwan. Every year from January to March, you can go diving with hammerhead sharks at a site called Shark Point. Going down to a depth of up to 37 meters (121 feet), this is one of the most challenging dives in all of Taiwan. 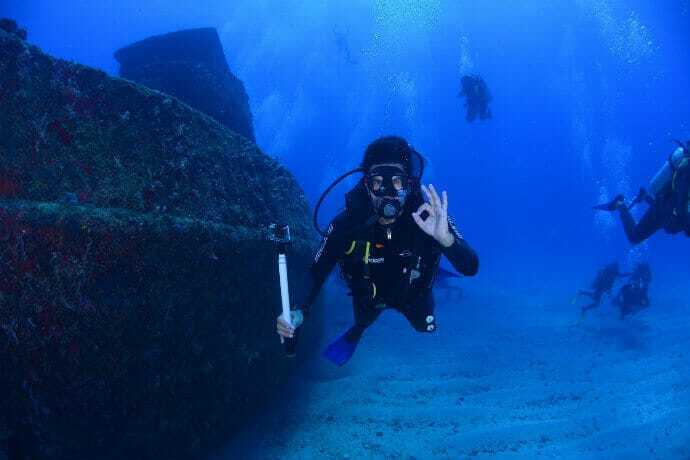 So it’s best left to experienced and qualified divers only. Green Island is also home to a rare saltwater hot spring– one of only three in the world. All of the offshore islands in Taiwan are incredible cycling destinations. Green Island has more of a holiday feel to it, and mainland Taiwan can be seen just across the ocean on the horizon. Orchid Island feels more remote, and would especially appeal to those interested in Taiwan’s indigenous cultures. Xiao Liuqiu (which is also known as “Little Okinawa”) is just offshore from Kaohsiung, so it makes for an easy day trip from the city. Further afield, Penghu lies in the middle of the Taiwan Strait, which separates Taiwan and China. There are four main islands there connected by bridges, and endless fishing villages to explore. Just avoid going there in winter, when it can get extremely windy. Matsu and Jinmen Islands are just off the coast of China, and are also rich in historical, cultural, and scenic attractions that are easily accessed by bike. Luye is a gorgeous little town in Taiwan’s East Rift Valley. This expansive, scenic valley is filled with rice paddies and sandwiched between two mountain ranges in remote Taitung County. 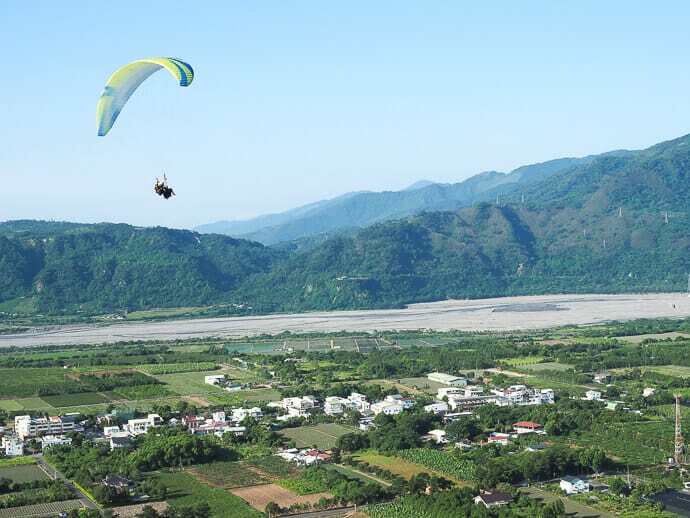 In Luye you can try your hand at paragliding. Another impressive way to enjoy Luye’s pastoral scenery from above is by taking a hot air balloon ride. Rides can be taken all year-round, but the most popular time is during the Taitung International Balloon Festival, which takes place every July on the Luye Highland. Cigu Lagoon in Tainan is Taiwan’s largest lagoon, spanning approximately 1600 hectares. Due to the lagoon’s high concentration of salt, it once spawned a major salt and oyster industry. Salt is no longer produced in Taiwan, but the Cigu salt fields remain as an interesting and photogenic attraction, including a “salt mountain” (which you can climb) and a salt museum. 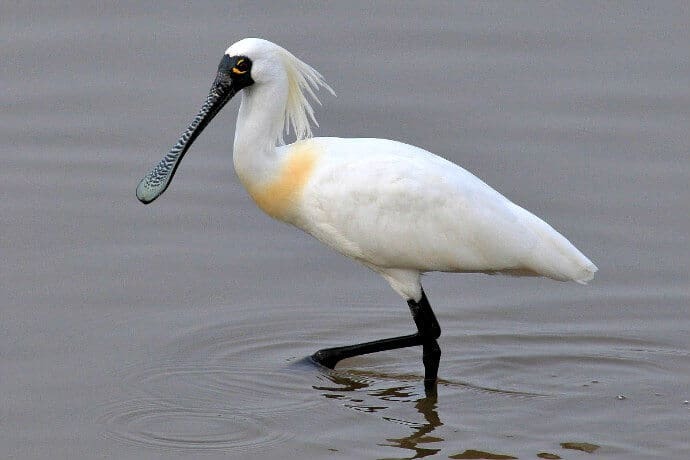 The lagoon itself is home to an enormous diversity of birds and marine wildlife, including endangered species like the migratory Black-faced Spoonbill. Unfortunately, the lagoon has shrunk by many times over the years due to rampant overdevelopment. There are currently only a limited number of wildlife-watching tours offered, and visitors may find that certain areas of the lagoon may be closed off as a part of ongoing conservation efforts. 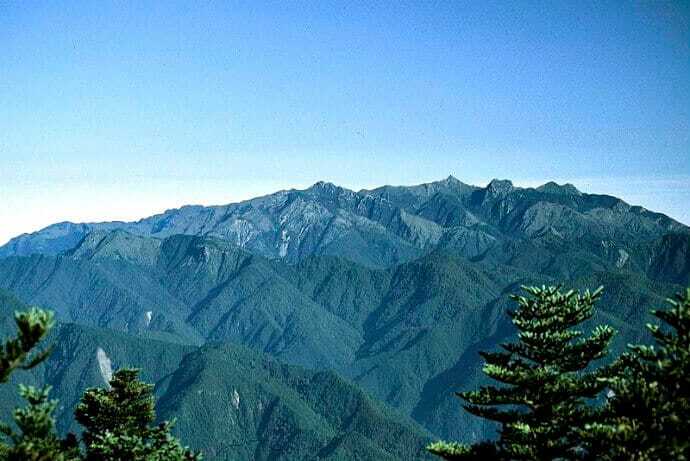 Taiwan’s national parks cover 8.6% of the total land area of the country. The first national parks in Taiwan were created during the Japanese era, but efforts to maintain them were later abandoned. The first park to be re-established in the 1980s was Kenting National Park, which covers a large area at the southern tip of the island. Other parks that followed include Yu Shan (home of Taiwan’s highest peak), Yangming Mountain in Taipei, Taroko National park, mountainous Shei-Pa, and four marine/island national parks. Taiwan also offers 19 forest recreation areas. These contain a wide variety of scenic landscapes and biodiversity, but aren’t subject to the same development limitations as national parks. As a result, they tend to have more accommodations available, such as cabins and hotels. Alishan, Sun Moon Lake, and East Rift Valley are a few of the more popular ones. A major right of passage is cycling around the entire country, which is called the Taiwan Cycling Route #1. While many different routes are possible, this “official” route was established in 2015 and begins at Songshan Airport in Taipei City. The round-Taiwan route is a popular activity among locals and visitors alike. Giant’s founder, King Liu, actually did it at the age of 73! That’s not to say that this is an easy ride, though. Many cyclists come back complaining of painfully long days. And the western Taiwan portion of the route, which traverses a huge area of urban and industrial sprawl, is notoriously uninspiring. 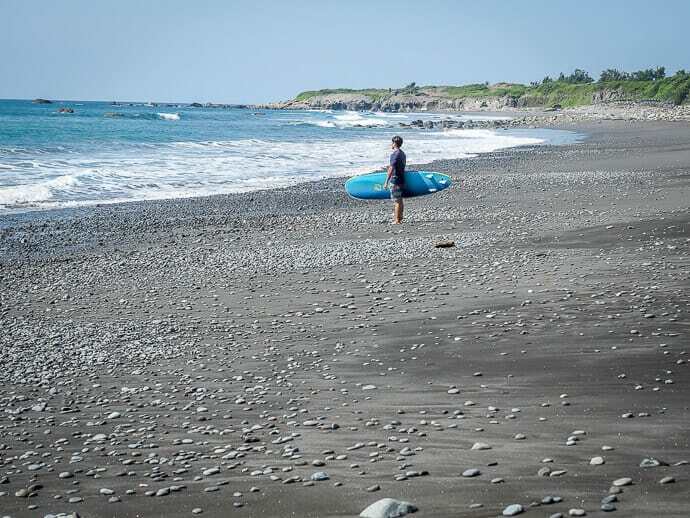 If you feel no need to do the full circuit, then stick to the picturesque east coast of Taiwan, from Hualien to Taitung or Kenting. River tracing is one of the most popular outdoor activities in Taiwan in the summer. Who doesn’t want to jump in a river when it’s 35°C (95°F) out, with humidity that makes it feel 10 degrees hotter? River tracing is as simple as hopping into a river or creek and walking upstream (or downstream). It combines hiking, swimming, scaling waterfalls, and jumping off rocks or cliffs into the river whenever you see a good spot to do so. In terms of equipment, good shoes are essential, preferably with a sole that prevents slipping. Life jackets are recommended, as are helmets if you’re going anywhere with a possibility of falling rocks. Wulai is a popular place for river tracing near Taipei, while Yilan and Hualien counties also have many different options. The river trace to the Golden Grotto in Hualien is legendary, but may be closed off at times due to safety concerns. Seasonal flower viewing is a popular activity in Taiwan, with cherry blossoms (or sakura) usually getting the most attention. As in Japan, it’s never possible to know exactly when the cherry blossoms in Taiwan will bloom. But generally the season lasts from late January to early March, and varies by location. 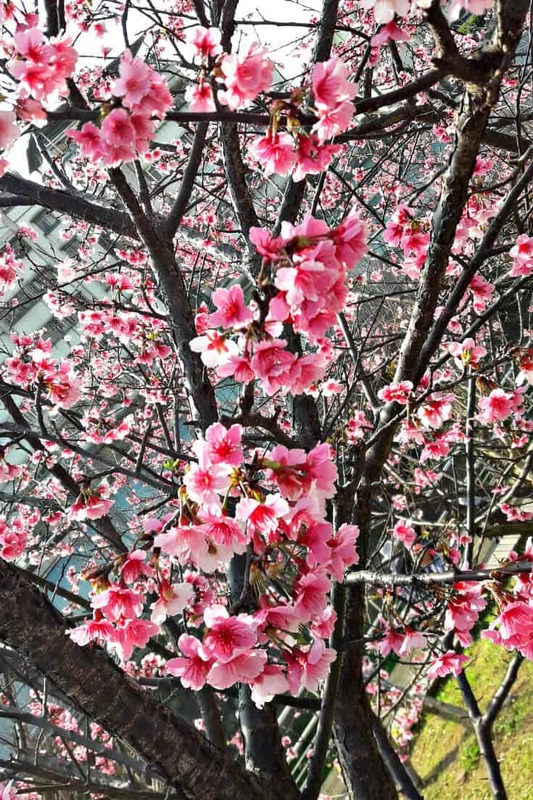 Some of the best spots to see cherry blossoms in Taiwan include Yangming Mountain in Taipei, Wuling Farm in Taichung, and the Alishan National Scenic Area. From mid-April to the end of May, there are also over 200 hundred places around Taiwan where you can spot fireflies. The best time to see them is just after the sun goes down, from around 7 to 8pm. We had an amazing firefly experience with our kids on a camping trip in Hsinchu! -text & photos by Nick Kembel unless otherwise noted. Nick Kembel is the author of Taiwan in the Eyes of a Foreigner and the creator of Spiritual Travels. He has been in Taiwan for 10 years, and lives with his wife Emily and kids Sage and Lavender.